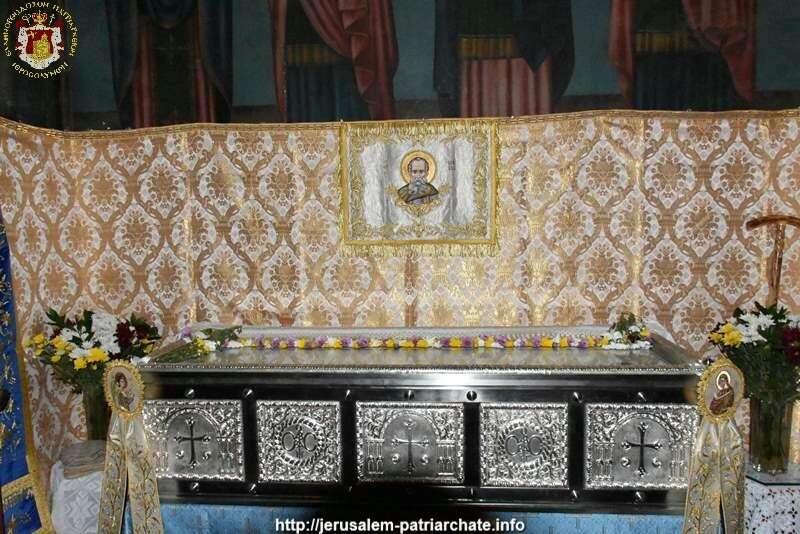 On Thursday night to Friday, October 12 to 13/ 25 to 26, 2018, the commemoration of the translation of the relics of St. Savvas the Sanctified from Venice to Jerusalem in the year 1965, was celebrated in his Lavra. 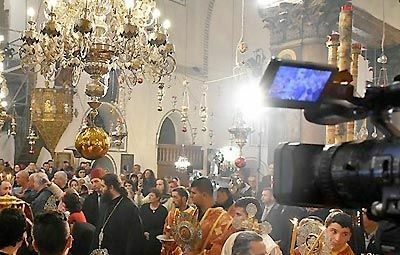 The All-night Vigil on the commemoration of this event was held for the first time after the transfer of St. Savvas relics into his new reliquary by the initiative and care of Metropolitan Nikolaos of Mesogaia and Lavreotiki and his associates. The Service was officiated by our Father and Patriarch of Jerusalem Theophilos, with co-celebrants the Most Reverend Archbishop Aristarchos of Constantina, the Most Reverend Archbishop Philoumenos of Pella the Most Reverend Metropolitan Joachim of Helenoupolis and Hagiotaphite Hieromonks, Arab-speaking Priests and Archdeacon Mark. The hymns were delivered by the Choir Leader Mr. Constantinos Spyropoulos and Fathers of the Monastery of St. Savvas on the right in Greek, and Archimandrite Philotheos with the Arab-speaking choir on the left in Arabic, while the service was attended by the Fathers of the Monastery of St. Savvas and noble Orthodox Christians from various countries and from the village of Beit Sahour, from Bethlehem and Beit Jalla. “Many are the afflictions of the righteous: but the Lord delivereth him out of them all. He keepeth all his bones: not one of them is broken” (Psalm 34:19-20), the psalmist proclaims. The righteous man of the Lord, Savvas the sanctified, has gathered us all in his wondrous Lavra in order to celebrate the translation of his sacred and incorrupt complete relic from Venice to the place of his ascesis in doxology and thanksgiving; we also greet the recent transfer of his relics in his new silver elaborate reliquary. Great indeed and marvelous are the works of our Lord God the Almighty; “just and true are thy ways, thou Kings of saints” (Rev. 15:3), John the Evangelist witnesses in his revelation. It is precisely on these just and true ways of the Lord that our Father among the Saints Savvas trod, and the Lord delivered him from his many sorrows and trials. “God tested them (the righteous ones) and found them worthy of himself; like gold in the furnace he tried them, and like a sacrificial burnt offering he accepted them” (Wisdom of Solomon 3:5-6), we read in the Wisdom of Solomon. Also, referring to the testing of the faith in Christ, Apostle Peter says; “That the trial of your faith, being much more precious than of gold that perisheth, though it be tried with fire, might be found unto praise and honour and glory at the appearing of Jesus Christ” (1 Peter 1:7). Our Father Savvas was accepted by our Lord God as “a sacrificial burnt offering”, namely like a victim of burnt offering, which is completely burnt in the altar and is being offered to God as a fragrant smell, and this offering is the multitude of the trials of the tested faithful man. Moreover, the faith of the righteous which is being tested in the furnace, will be revealed to their praise and honour and glory on the Day of Judgment, when our Lord Jesus Christ will come again as a glorious Judge. 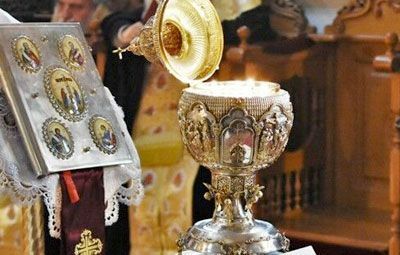 The truth of these Biblical words is confirmed and boldly confessed and fumbled through the incorrupt fragrant relic of our Father among the Saints Savvas the Sanctified, which is lying before our eyes. This is the faith of our Fathers, this is the faith of our Church, this is the faith of the Orthodox Christians. 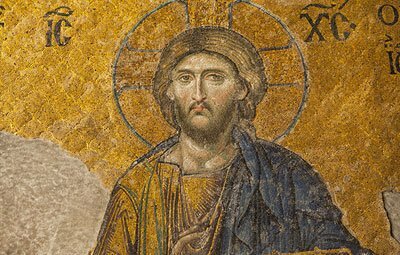 The foundation of our Orthodox Church, my dear ones, is Christ, while the saints of the Church are the chosen ones and those beloved by God, St. Paul preaches (Col. 3:12). After the Vigil, at dawn of the new day, a reception was offered with boiled wheat at the entrance of the Church, which was followed by a meal. On His way back, His Beatitude stopped to venerate the Holy Monastery of St. Theodosios the Cenobiarch. 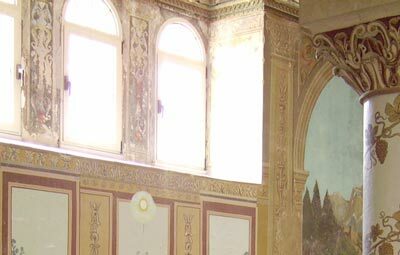 Copyright © 2006-2018 Jerusalem Patriarchate – Website.